Yet More Awesomeness from the Seipp Boys! 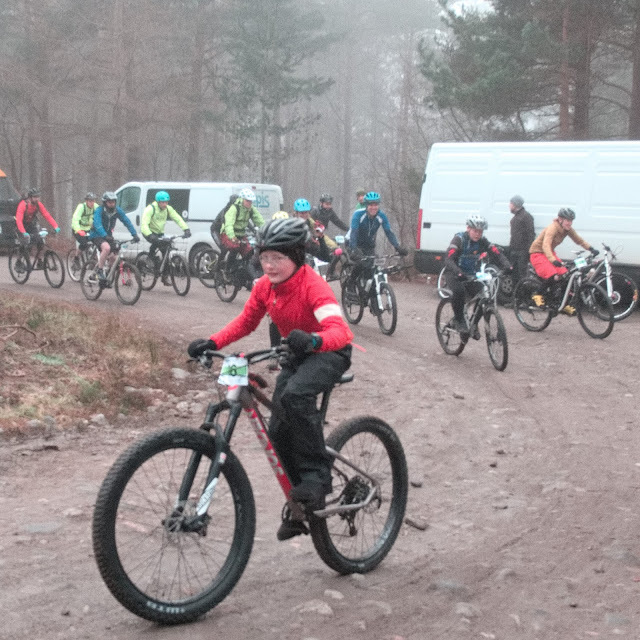 Tom has been looking forward to this year’s Strathpuffer ever since we were successful in getting one of the sought after solo places for him. Aged 11, it would be the third time he has ridden this event. 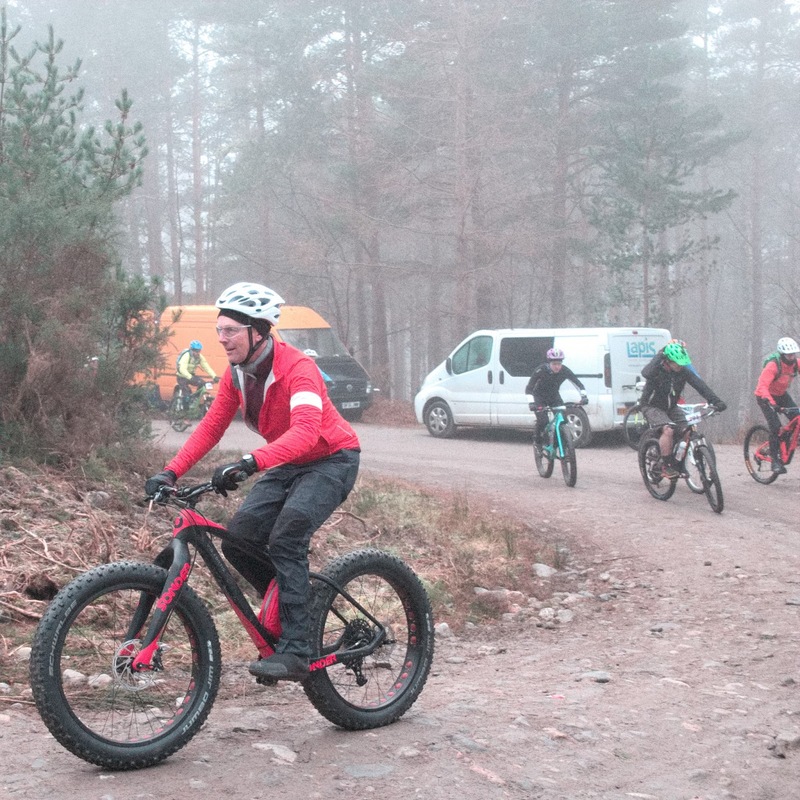 The weather at Strathpuffer is normally a major feature in the event. In 2015 we had snow, in 2016 there was mud. The forecast for 2017 was benign though, which in some ways was a bit of a disappointment. Maybe this would be the ‘puffer riders would remember as the “easy” one. 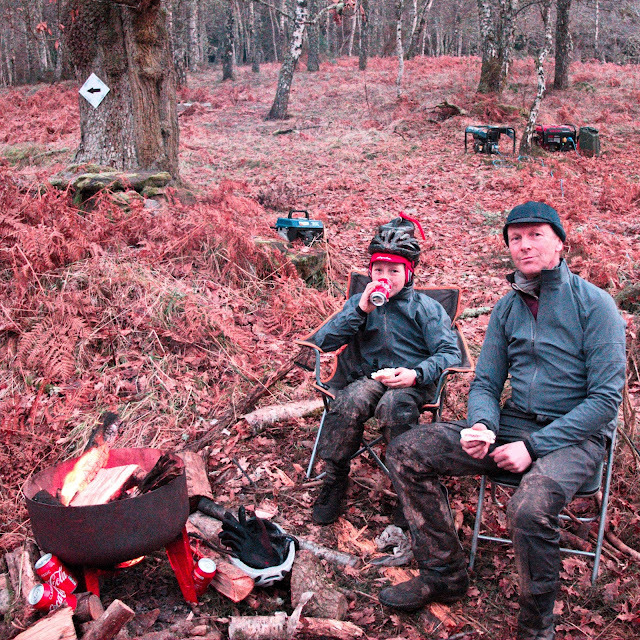 Tom again was riding an Alpkit Sonder Transmitter, whilst I was riding their carbon fat bike, the Vir Fortis. Our plan was simple, to try and better the 13 laps that Tom had ridden in 2016. The first three laps this year were ridden in 2:46:53 compared to 03:36:55 the year before, so we were off to an excellent start. On the fourth lap though I had a flat right in the middle of the super muddy bit. I decided to push the bike back to our camp where I could wash the tyre and wheel in the river before inserting a new tube which cost us a good 20 minutes. Other than that mishap our lap times were 15-20 minutes faster than last year’s. Once the sun went down, unsurprisingly it started getting cold. As the night progressed some bits of the course became covered in black ice. We’d borrowed some Exposure Six Pack lights to supplement our Exposure Toros. However they were so bright on their low setting that we never used our own lights. Recommended. On lap 11 somewhere around 10pm Tom’s sleep monsters started to take hold. He’d hoped to ride without sleeping. It became clear that this was not going to happen. Just before 11pm we stopped for sleep. We had just under 4 hours sleep, or at least Tom did. Revived, we were back out there before 4am. On the lap after our sleep, we both had a couple of near crashes, the cause, there was now loads of the course covered in black ice. 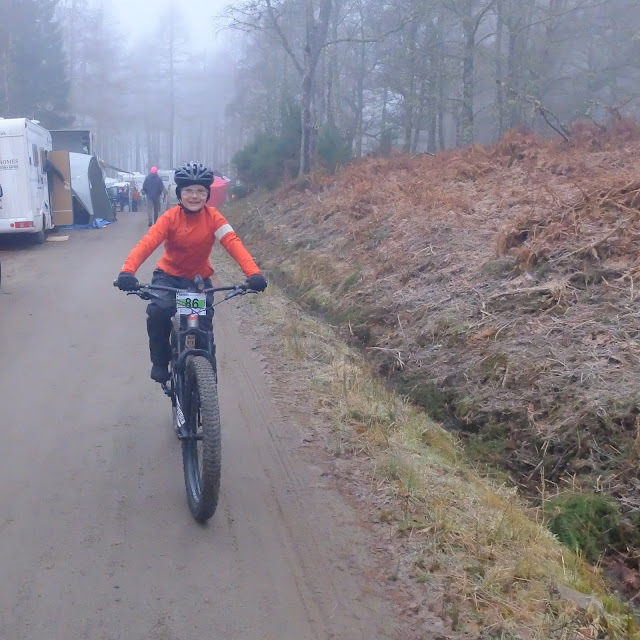 We rode a little slower than before on the icy sections to avoid mishap. Still, with 22 hours on the clock we’d bettered last year’s 13 laps. Time for a sit down, and some food and drink. We weren’t done though, we’d worked out there was still time for another couple of laps. At 10:36 we finished our 16th lap. Strava stats -103.6 miles, 12,403′ of climbing, and a moving time of 17:15:53. That was good enough to secure 33rd male solo out of 90 competitors. 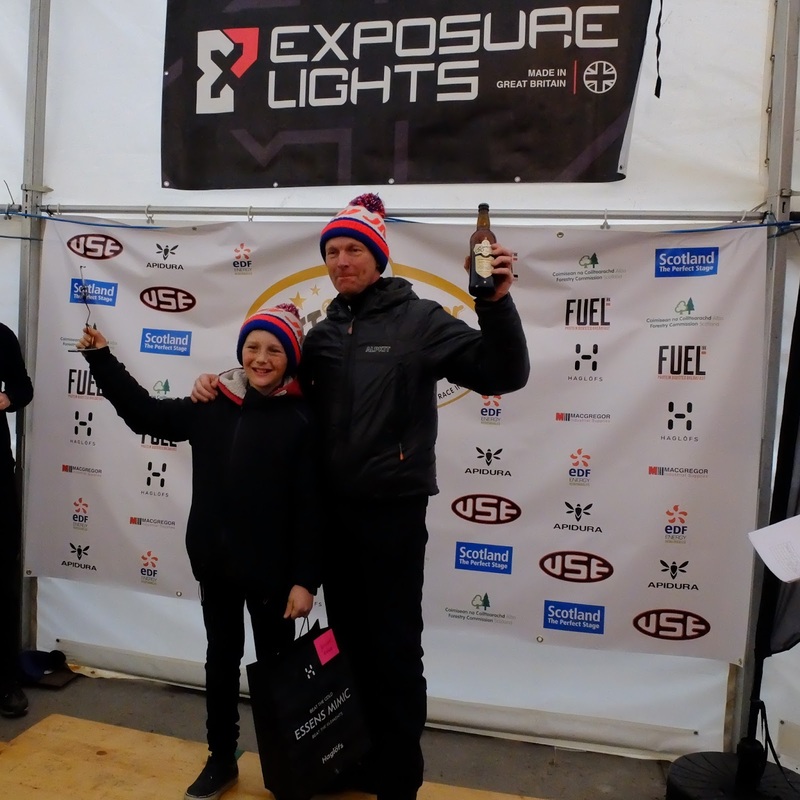 Once again Tom got a trophy and prize for the youngest rider, and I, a bottle of beer for being his wingman. We would like to thank the organisers and marshals at Strathpuffer. The race is definitely a must do, and a highlight of our year. Thanks also to Alpkit for the bikes, and Exposure for the lights. A big thanks to my wife who gave up her weekend to stand about in the cold and looked after Tom and I, and thanks to Dean who helped out with pit duties. 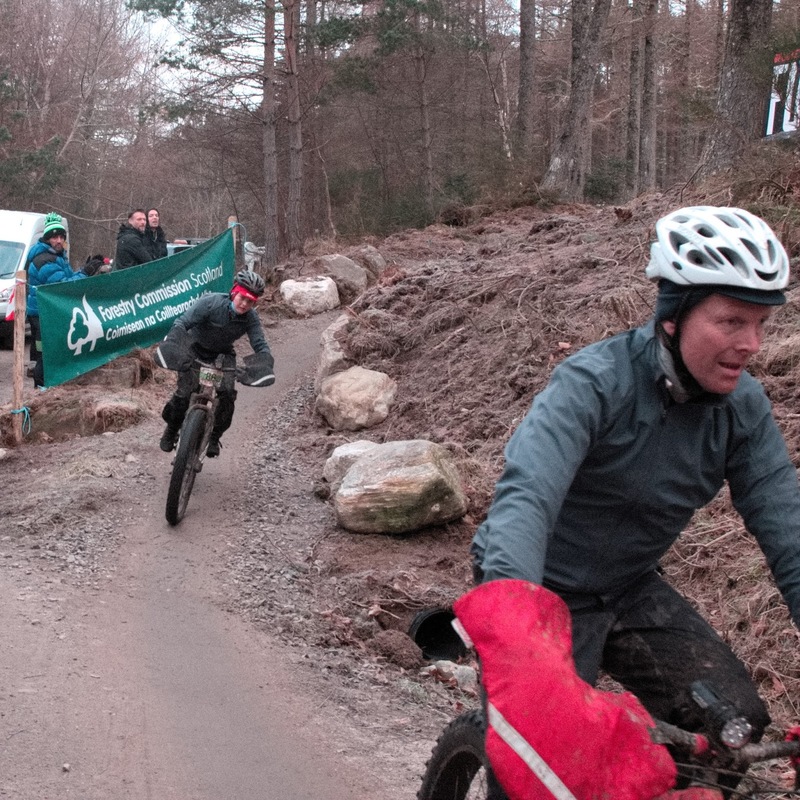 Finally a thanks to the other competitors and spectators for cheering Tom on.